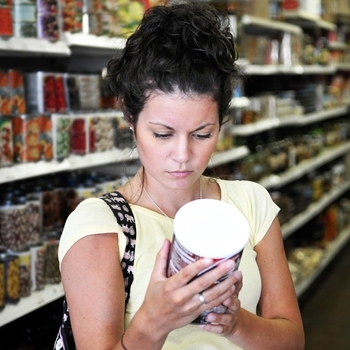 Introduction of new nutrition facts labels will provide more information to consumers. 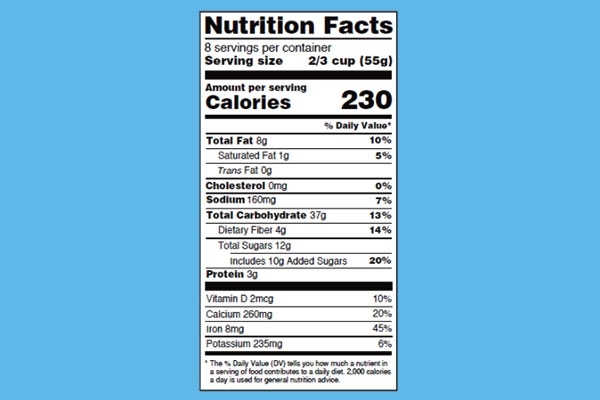 The iconic black-and-white Nutrition Facts label for packaged foods in the U.S. is getting its first makeover in two decades. The federal government's decision last month to update the food label means that for the first time, beginning in 2018, labels will list how much added sugar is in a product. The decision, reflecting the latest science, will be felt well beyond the label. University of California food experts praised the labeling changes and offered six key takeaways. 1. Listing added sugar is the most important label change. The new label will list the amount of added sugar in a product, both in grams and as a percentage of the daily recommended allowance. Added sugar – any sugar added in the preparation of foods such as table sugar, high fructose corn syrup and others – can be found in hundreds of products such as cereal, yogurt, pasta sauce and salad dressing. But the biggest source is sugar-sweetened beverages, which account for nearly half of Americans' intake of added sugar. The current label lumps added sugar with naturally occurring sugars in the foods themselves, which is a deceptive practice, said Dr. John Swartzberg, a UC Berkeley clinical professor emeritus and editorial board chair of the UC Berkeley Wellness Letter. Listing added sugar “will hopefully guide people away from consuming products with a lot of added sugar,” he said. 2. Americans need to consume less sugar. More than one out of three adults in the U.S. is obese. Nearly half of U.S. adults have prediabetes or diabetes, raising their risk of heart attacks, kidney failure, blindness and amputations. Among U.S. children, more than 1 in 6 is obese, and diabetes and prediabetes rates are rising. Amid these alarming statistics, there's a growing concern about too much added sugar in diets. Crawford noted that the new federal dietary guidelines for the first time recommend limiting added sugars in the diet to no more than 10 percent of one's daily calories. 3. Expect manufacturers to make product changes. When the federal government required that manufacturers add trans fat information on the label a decade ago, the food industry responded by marketing more products with lower trans fats, Crawford said. 5. The new label makes changes beyond sugar. Adding front-of-package labeling that states whether the product is high in sugar, salt or fat: “This banner on the front of packages would make it simple for a consumer to see whether a food is healthy or whether it has ingredients that contribute to risk of heart disease, stroke, obesity or cancer,” Crawford said. Having food vendors add “stoplight” stickers: “There is the stoplight idea of labeling products with green, yellow and red stickers – green for the low-sugar products and red for the high-sugar ones,” offered Schmidt. 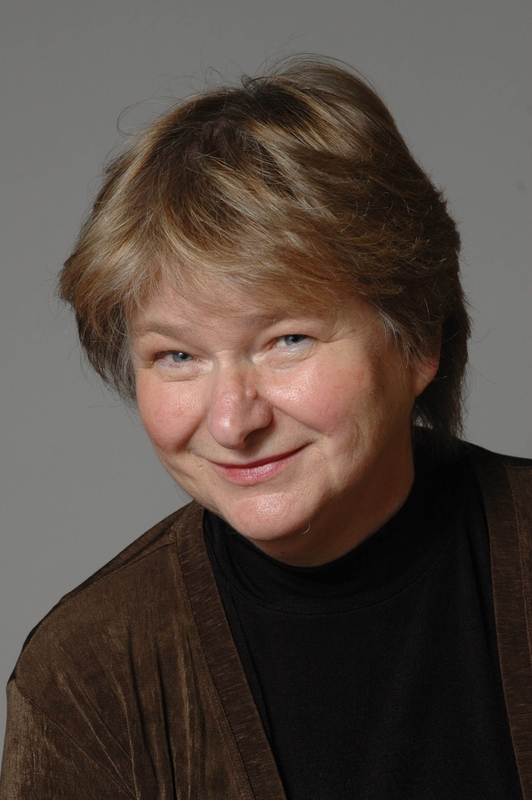 Promoting environmentally sustainable food practices: “(We should) consume more plant-based foods and less meat,” Swartzberg suggested. Increasing research: “The label change is not enough: Further research, education and sound policies will need to be developed to motivate more healthy eating,” Roberts said.